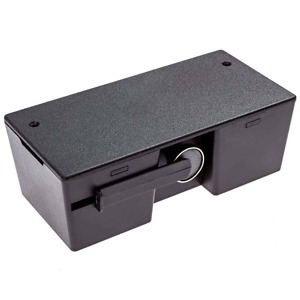 Wireless Entrance Alert Receiver to expand DA50L-A system or replacement part. This is a wireless entrance alert receiver for the DA50L-A kit. For more more information about this product, please see information about the DA50L-A Entry Kit. Own a big warehouse this product works great and was easy to install. The DA50L-A Wireless Entrance Alert Kit arrived quickly and was easy to set-up. We have an orchard and our apple salesroom is in the barn. I bought an extra receiver-one for the house and one for the workshop. We now know when a customer arrives and can help them without always having to stop what we are doing to check. I used Velcro to mount the Detector, as someone suggested in another review. That will make it easy to mount the detector at other locations as needed. a wireless doorbell a necessary evil in retail.